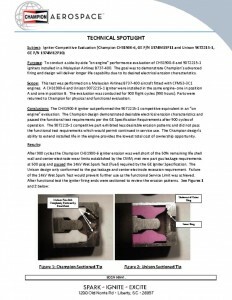 Champion Aerospace is a leading supplier to the OEM turbine engine market for airline, business aviation, general aviation, space and military aircraft applications. 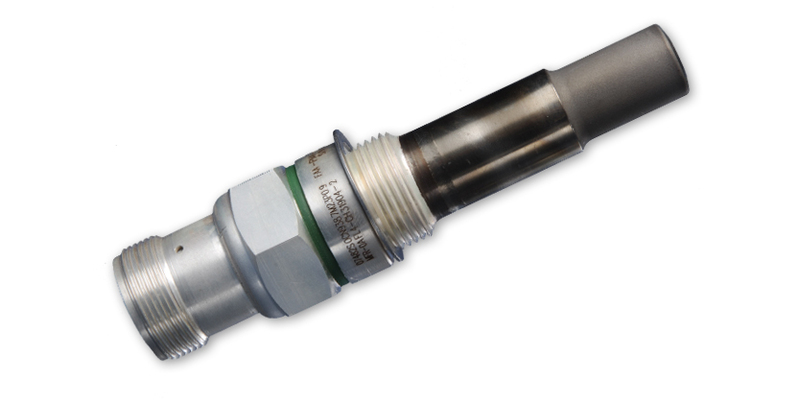 Champion Aerospace has produced igniter designs for global customers, including land and marine power plants; oil, gas, and coal furnaces; oil rig operations; and pumping stations. 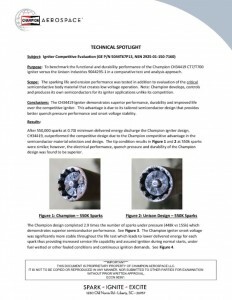 Champion can provide Industry certification compliant hardware for hazardous environment requirements (i.e. 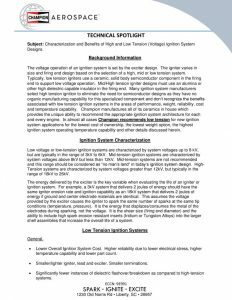 CSA, CE, ATEX etc…) Plus, it builds more gas turbine igniter models than all other manufacturers combined. Champion-engineered safety retention features and long-life capable designs are the best in the business. 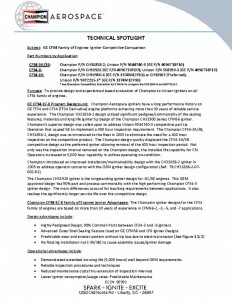 Champion developments to extend life in the turbine igniter design include optimized use of precious metals, super alloys, coatings, air-cooled tip designs, fuel drain slots (which keep the igniter from quenching) and high temperature sealing features to survive today’s extreme combustor conditions. Champion also uses engobe semi-conductive/solid body semiconductor materials for more reliable response to difficult starting conditions. Champion’s unmatched internal Ceramic Manufacturing capability permits design and manufacture of industry leading Alumina Oxide insulators and Silicon Carbide semiconductors which sets it apart from the competition in product performance, quality and response time. Silver-plated shell for protection against corrosion and seizing at mechanical interfaces. 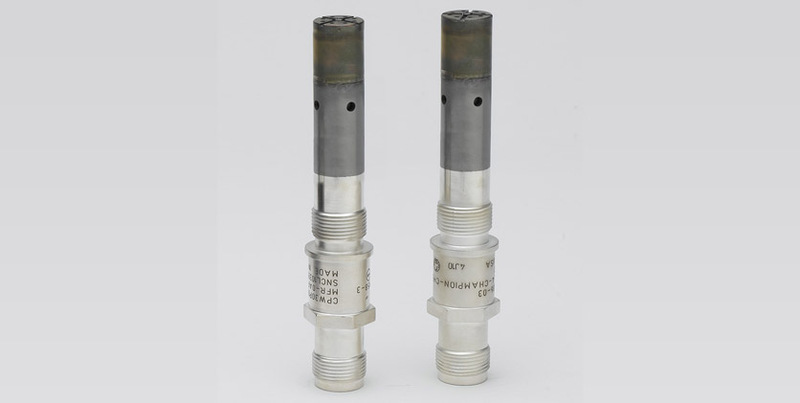 Advanced glass and mechanical sealing features design outside the combustor case for protection against gas leakage under high temperature conditions.